Admirals Walk is a south Sarasota Fl real estate property that strongly vies for market attention in its much-sought after locality in the Rosemary District just off of Clark Road east of Honore Avenue. 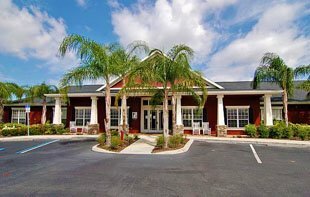 Also only a short distance west of Interstate 75, this gated neighborhood is a condominium complex composed of 249 units built between 2003 and 2004. The New England, colonial style architecture was adapted in the design of these condos which are of frame construction with shingle roofs. The residences were built in floor plans either having one bedroom and one bath, two bedrooms with two baths, or three bedrooms and two baths. The homes’ living spaces range from 848 to 1,499 square feet with many of the units incorporating lofts that can be converted into another bedroom. 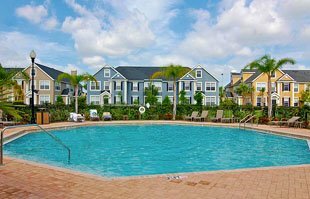 Generally, Admiral Walks count among the affordably priced Sarasota condos for sale. The starting prices of its units can be quoted from the mid to upper $100s. The community prides itself with serene views of a wooded area and amenities that one could expect to find at higher-priced properties. Its common facilities include a clubhouse with a large gym, a billiard room and kitchen, a heated swimming pool and spa. The community center, in addition, has a conference room with Internet access and a small library. Heating and cooling are centralized, and there are 490 parking spaces within the complex. For garages, these are sold separately from the units. 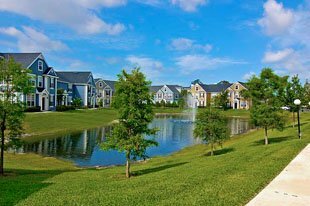 Membership in the homeowners association (HOA) is mandatory, and the monthly dues are based on the square footage of the members’ units. Among those covered by the HOA assessment are water and sewer. The superior school districts around the vicinity of Admirals Walk make the condos suitable for families with growing kids. Among the popular schools in the area are Riverview High, Ashton Elementary, and Sarasota Middle School. Venues for family bonding activities are, in addition, within convenient reach at two nearby parks. One is the Red Bug Slough on Beneva Road west of the community where the offerings include nature trails and picnic grounds. Another is the Twin Lakes Park eastward at Clark Road a short distance past Interstate 75. Its attractions include multi-sport venues like baseball and football, as well as fly fishing. Around the vicinity of Clark Road too are numerous places for dining and entertainment. Among these are Burger King, Gecko’s Grill & Pub, Pinchers Crab Shack, Waffle House, Applebee’s Neighborhood Grill, and the Livingston Amusement Center. For shopping, there’s a Bealls Department Store nearby. The residences can also serve as vacation rental homes attractive to investors in Sarasota condos for sale. Siesta Key, one of the top tourist attractions in Sarasota, is easily accessible from the community via Clark Road which links to Stickney Point Bridge, one of two spans leading to the world-famous Gulf Coast barrier island. Below are all of the current real estate listings available for sale at Admirals Walk.